Plus, build support for the Green New Deal and register new voters in 2020 swing states. The first bill introduced in the new House of Representatives, HR1, is a long overdue package of legislation that would expand voting rights, modernize voter registration systems, reform campaign finance laws, and institute crucial anti-corruption regulations. The bill, which already has more than 200 cosponsors, would make our electoral system fairer and more democratic. It’s critical to maintain pressure on our elected representatives to see it through the House and the Senate. This week’s Take Action Now shows you how to mobilize in support of HR1 next week, and also gives you ways to support the Green New Deal and register key voters for the 2020 elections. Representative Alexandria Ocasio-Cortez and Senator Ed Markey have jointly introduced a resolution that would push the United States toward a “Green New Deal,” a set of programs that would reduce carbon emissions while modernizing the economy and guaranteeing jobs to all working-age Americans. Add your name here to support this visionary legislation and use this script to make a call imploring your representative to endorse it. SwingLeft, a political organization that helped flip the House in last year’s midterm elections, is turning its attention to the Senate and the presidency in 2020. Volunteers are already helping register voters by mail in eleven “Super States” that together could decide who controls two branches of the government. Sign up here to get involved. 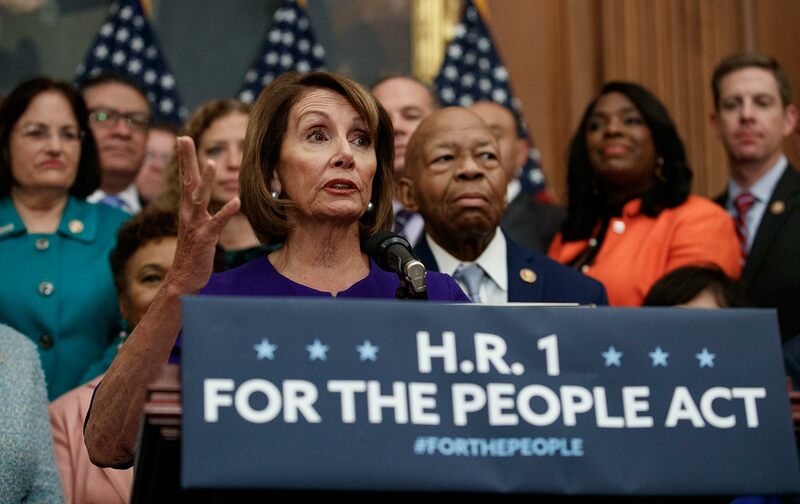 During the President’s Day recess, members of Congress will return to their districts, giving us a perfect opportunity to press our representatives to support HR1’s reforms. Fill out this form to organize a rally at your congressperson’s district office, or get involved with planning a town hall on HR1 in a nearby district.